As the last feature-length anime from Hayao Miyazaki, we’re sure The Wind Rises is going to be watched over and over by anime enthusiasts hoping to squeeze one last drop of mana from the celebrated director’s final film. But even if those repeated viewings won’t wear out your The Wind Rises Blu-ray like a fifth-generation Nausicaa of the Valley of the Wind VHS fansub, you can only watch it so many times before diminishing returns start to set in. But soon enough, there’ll be another piece of Miyazaki’s legacy for fans to pore over, as the manga version of The Wind Rises, drawn by the legend himself, is finally being published in a collected volume. Miyazaki, though, has no problem single-handedly producing visuals. Not only did he create the storyboards for many of Studio Ghibli’s biggest hits, he penned the Nausicaa manga over a two-year period and also drew a short companion comic for Porco Rosso. 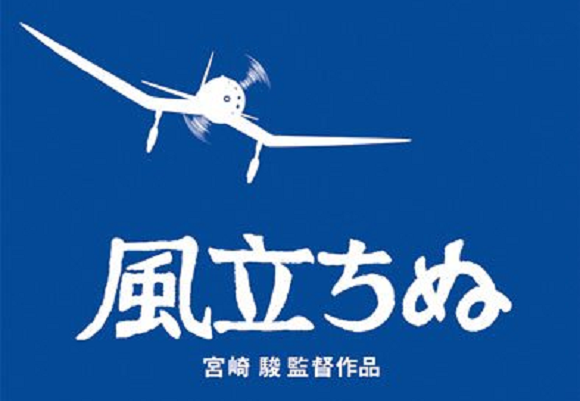 Even those who regularly read Japan’s weekly and monthly manga anthologies cover-to-cover may not be aware of the manga version of The Wind Rises, as it was serialized in model-building magazine Model Graphix, which previously ran the Hayao Miyazaki’s Daydream Data Notes series of illustrated essays. Miyazaki’s The Wind Rises first appeared in the magazine’s pages in 2009, and its last installment came in January of 2010, still three and a half years before the animated The Wind Rises premiered in Japanese theaters. Like the anime, the manga is focused on Jiro Horikoshi, a fictionalized stand-in for the real-life Japanese fighter plane designer of the same name, although the comic’s storyline does not exactly mirror the film’s. There’s also a pretty big difference in the character designs. Whereas the anime version of Horikoshi has the plain but soft facial features of a typical Ghibli lead, the manga’s Horikoshi has a pig’s snout. While this might seem an insulting choice for a proxy of a historical figure that Miyazaki seems to hold in high esteem, Miyazaki often draws himself as a pig in self-portraits. The artistic choice once again hammers home the parallels Miyazaki draws between the life of Horikoshi and his own, in that they were both skilled craftsmen who put so much of their souls into their work. A five-year gap between a manga ending its serialization and being published in collected form for the first time is extremely rare, and even in the 2013 documentary about Studio Ghibli, The Kingdom of Dreams and Madness, Miyazaki mused that The Wind Rises’ manga would never be sold as a stand-alone book. Luckily for his many fans, that prediction turned out to be wrong, and publisher Dai Nippon Eiga says that the book will go on sale in early September.